Today is International Women's Day and the Ubuntu Women Project held a "How I discovered Ubuntu. "competition in honor of this event. The Competition which was announced back in January, asked women and girls who use Ubuntu to submit their "How I discovered Ubuntu" stories. This is the beginning of a collection of stories that can be built upon each year and will allow the Ubuntu Women Project to demonstrate that there is no one definite answer to "How do you get women to use Ubuntu? ", and at the same time provide the gift of inspiration to women who are interested -- showing them that it's really not so unusual to be Ubuntu fans as well users, contributors and developers. The winners are: Elvira Martinez and Karen Y. Perez with honorable mention going to Jen Phillips as well. CONGRATULATIONS!!!! Their submissions along with all the others will be available on the Ubuntu Women Project wiki pages in the next few days. Jono Bacon selected the one of the winners on his UStreamTV cast, he also read all 3 of the stories listed above. - if you missed it you can find it here. In order for events/competitions to be successful it takes community participation, and a heart felt thank you to all those who participated by submitting their personal "How I discovered Ubuntu." stories, those who took the time to vote, those who helped promote, and those who supported this initiative as well as offer encouragement to those might not have submitted their stories otherwise. I am grateful for everyone involved in the Ubuntu Women Project and greater Ubuntu Community as a whole who are continually helping to provide both the platform and encouragement for women to contribute to Ubuntu. This competition was just one way to highlight women who use and contribute to the Ubuntu Project. By increasing this visibility the Ubuntu Women Project is growing 1) the Ubuntu Project and 2) a network of women helping women to become stronger Ubuntu users, contributors and developers. While the Ubuntu Women Project is inclusive and open to ALL , one the main goals as a Project has been and will continue to be a way for women to participate and contribute to the larger Ubuntu and FOSS communities. This competition is yet one more way to support that goal. Without the efforts of Ubuntu Women Project team member, Melissa Draper, the competition may have never made it to the community, the time and talent she personally put into this competition by drafting the competition as well as writing the voting submission application was awesome! 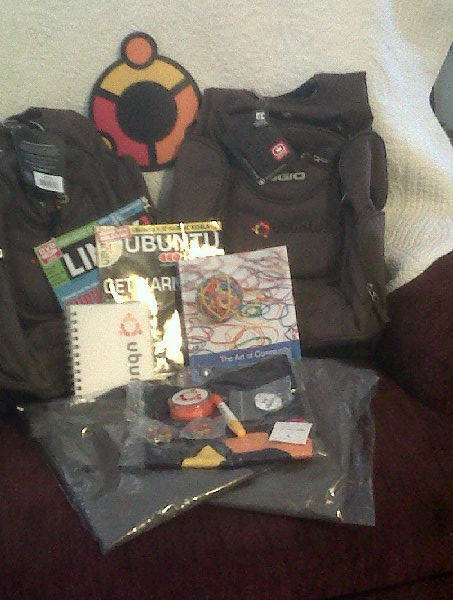 It is also important to say thank you to the sponsors of this competition, Rikki Kite, Associate Publisher, Linux Pro and Ubuntu User Magazines, for donating Linux Pro or Ubuntu User Magazine subscriptions (choice of one per winner), to Canonical for donating the Ubuntu Backpacks, notebooks, pens, laynards, pins and T-shirts, at last but not least to Jono Bacon for making the announcement of the winners as well as for copies of Art of Community. Thank you so much and I look forward to seeing all the entries next year for International Women's Day. Do you know of women in technology and science and want to draw attention to the achievements? Then don't forget Ada Lovelace Day - March 24, 2010. Per the Finding Ada website, Ada Lovelace Day is an international day of blogging (videologging, podcasting, comic drawing etc.!) to draw attention to the achievements of women in technology and science. Women’s contributions often go unacknowledged, their innovations seldom mentioned, their faces rarely recognised. We want you to tell the world about these unsung heroines, whatever they do. It doesn’t matter how new or old your blog is, what gender you are, what language you blog in, or what you normally blog about – everyone is invited. Congratulations to the winners, and all those who submitted stories - you are all terrific! OF NOTE: Amber Graner is currently the Ubuntu Women Project Leader. You can find out more information about Ubuntu Women at http://ubuntu-women.org/ or on freenode [DOT] net in #ubuntu-women and #ubuntu-women-project.